Thanks for your interest in our All-Purpose seasoning. Great for seasoning all meats veg's and soups . Check out our recipes for seasoning all of your family meals. Aunt Jayne's All Purpose Seasoning's customer service goal is simple: We are committed to providing our customers with total satisfaction. Every time. Guaranteed. 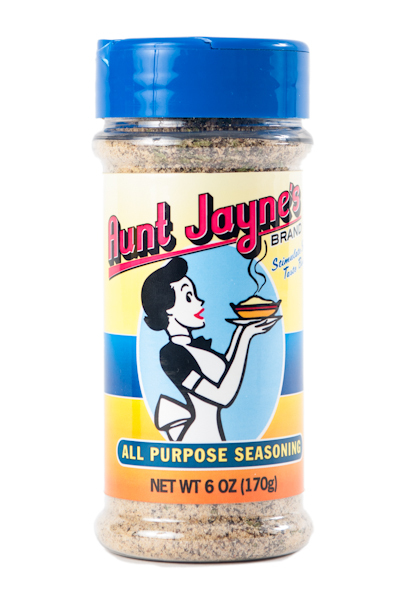 Please feel free to drop us a line at www.auntjaynesseasoning.com to share your thoughts on the site. All comments are welcomed.